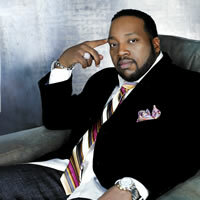 Leading gospel artist Marvin Sapp brings his “Never Would Have Made It” Tour to the Calvary Christian Center on Friday, June 12, 2009. The group 21:03 is also featured. The concert starts at 7:30pm. Tickets are available through ChristianHappenings.com and TheGospelVine.com. June 2, 2009 in Event, Fun. ← Beware of the bin?